Search Results for "fire works"
Animation of Comic speed lines background. Colorful cartoon fly, jump, fight speed background loop, Abstract red and yellow speed Background. works perfect like classic cartoon background with space for your character, logo or text. 8 Bit Clean Nsfw. A clean 8-bit screen with the word NSFW (acronym for Not Safe For Work). A fire glow inside the font. Animated rising or flying straight upward a lot of bright embers as if from camp fire or slow motion of sparks from industry work as if cutting or welding or grinding metal. Animated bursting or flying and spreading a lot of bright embers as if from intense camp fire or slow motion of sparks from industry work as if cutting or welding or grinding metal. Animated rising or flying and spreading upward embers as if from camp fire or slow motion of sparks from industry work as if cutting or welding or grinding metal. Animated slowly rising or flying upward a lot of small bright embers as if from camp fire or slow motion of sparks or shards from industry work as if cutting or welding or grinding metal. Animated bursting or flying and spreading upward many bright embers as if from intense camp fire or slow motion of sparks or metal shards from industrial work. Transparent background, alpha channel embedded with PNG file. Animated slowly rising or flying upward through entire screen many bright embers as if from intense camp fire or slow motion of sparks or metal shards from industrial work. Transparent background, alpha channel embedded with PNG file. 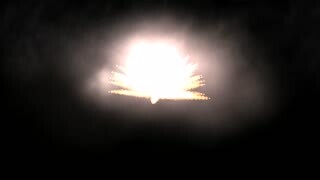 Animated bursting or exploding or flying and spreading upward many bright embers as if from intense camp fire or slow motion of sparks or metal shards from industrial work. Transparent background, alpha channel embedded with PNG file. Animated slowly rising or flying upward and dissolving a lot of bright embers as if from intense camp fire or slow motion of sparks or metal shards from industrial work. Transparent background, alpha channel embedded with PNG file.